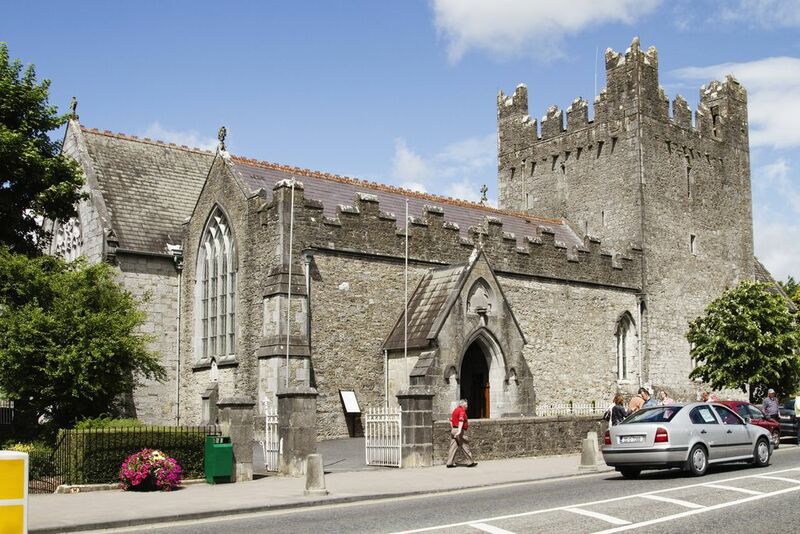 The square tower and the south wall of the present church were once part of the only monastery (13C) of the order of the Trinity in Ireland. The order was dissolved in the 1560s, and the abbey fell to ruin. Rebuilt by the 2nd Earl of Dunraven, it was enlarged in 1852. At the rear of the building is a 14C dovecot, which has been completely restored. 124 m - Main Street, Adare .